I agree. Dez needs way more pops. Aren't you doing quite enough to part us from our funds? Good point. Dez, no more pops please. Probably better to invest in your retirement or the next Suntup release. I believe you are right, Brian! I don't know if anything beats opening up and box and just going: "Wow." 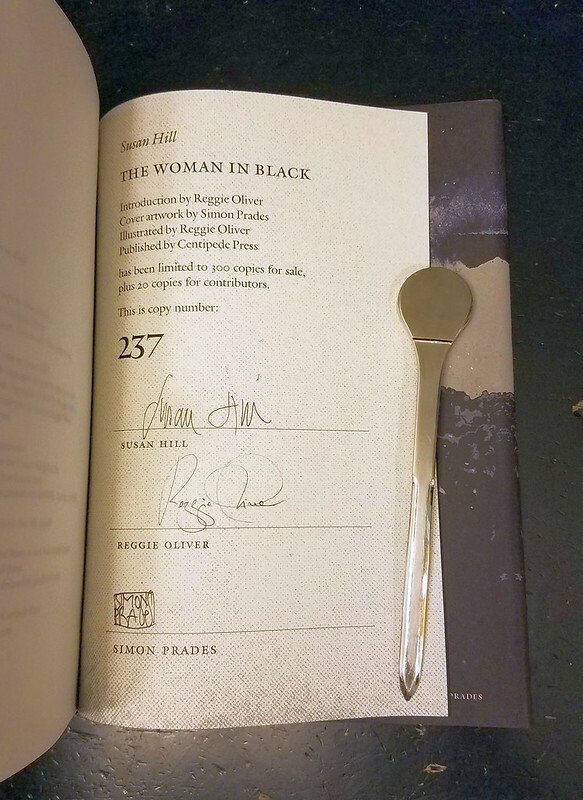 The pictures aren't enough - you have to hold this one and page through it. That looks awesome. A big congrats. I saw on a Facebook post that the set is ginormous. It is very big. The box arrived and my first thought was: what the hell did I order that's so big?! So, I get pretty tired of Facebook and most of what I do on there is converse with book collectors. Apparently, it has paid off. Guess I can't get rid of FB quite yet! Oh you’re the one who got the proof? Nice! What was the winning bid? I agree, Dez. Facebook gets old quick for myself. Great gets though! Twas I. I think I paid $57 for it...? Seemed reasonable to me! 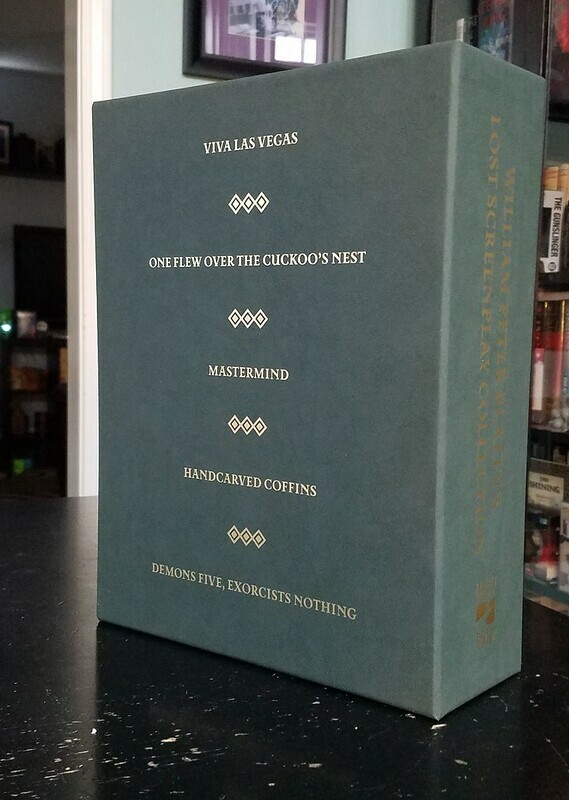 That screenplay collection looks outstanding! Congrats! Very nice stuff Dez. 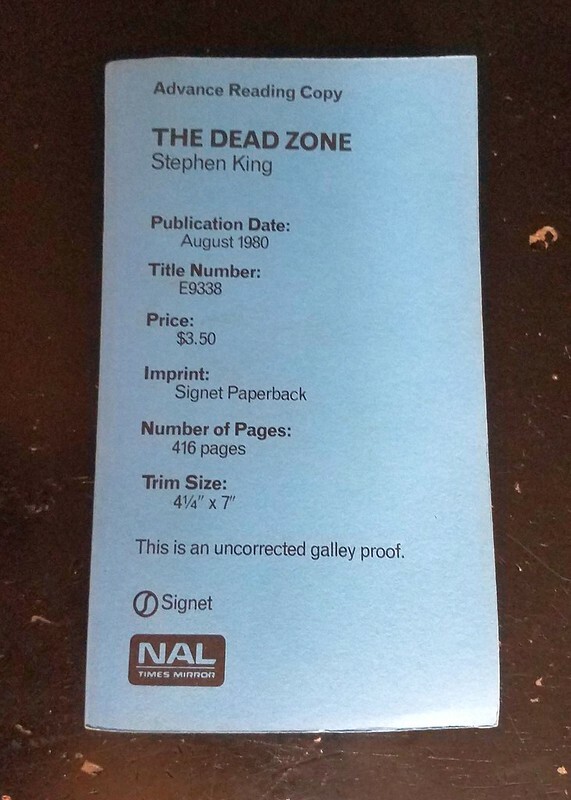 That Deadzone looks perfect. Congrats. 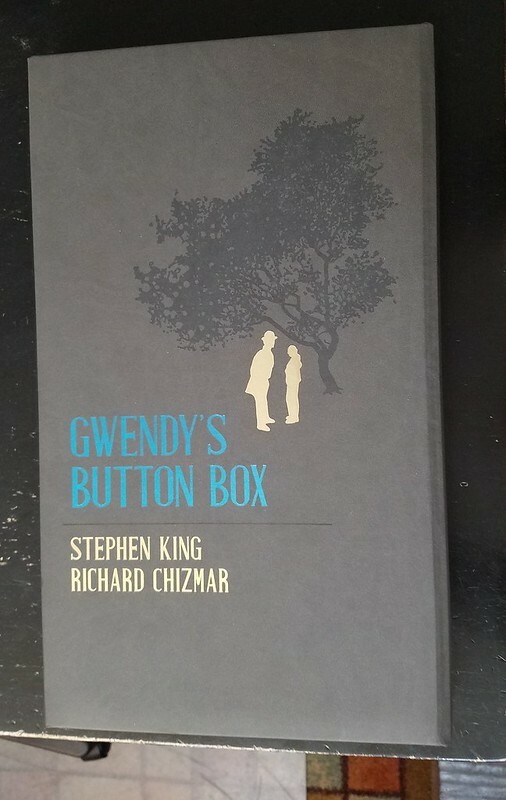 While I am waiting on the damn UPS people to deliver Gwendy's (they emailed me that it would be here yesterday, but nope - and you know they aren't working Sundays! ), here are a couple new non-King things. 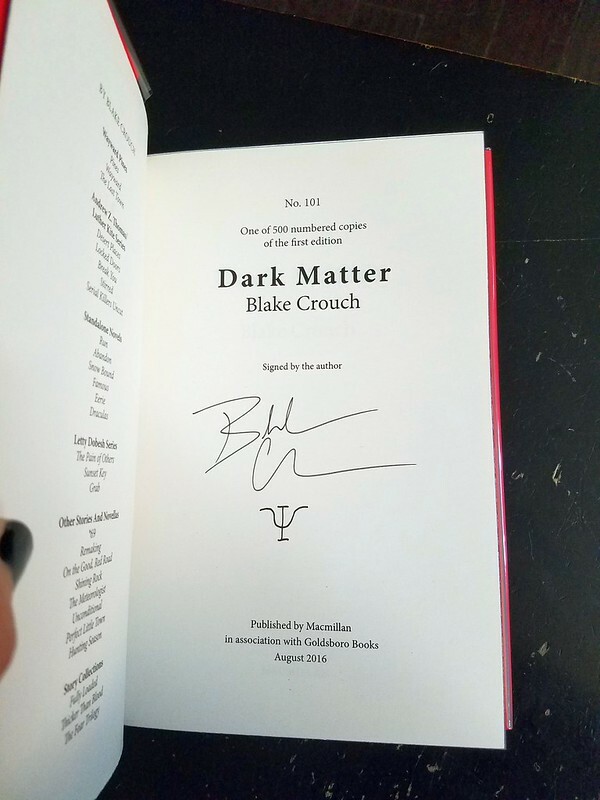 I bought this signed/limited edition of Dark Matter by Blake Crouch, and saw the sprayed edges when it arrived. 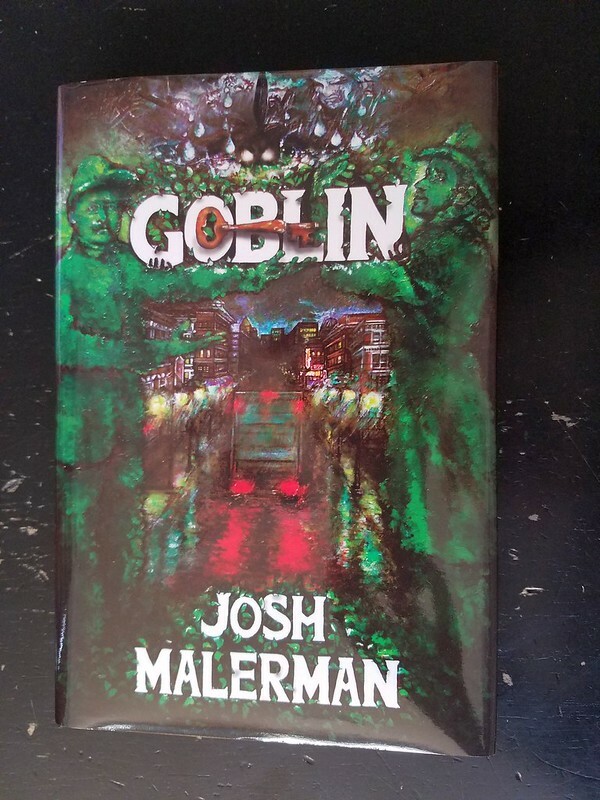 I also grabbed Josh Malerman's Goblin on the secondary market after waiting too long to buy it direct. Like a dumbass. Thanks, Brian! I know, they are so cool. And what a surprise when it arrived! 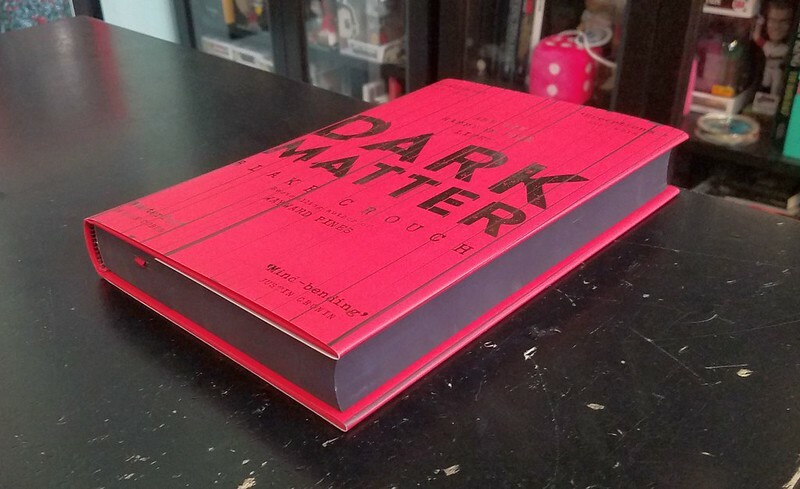 I loved Dark Matters! 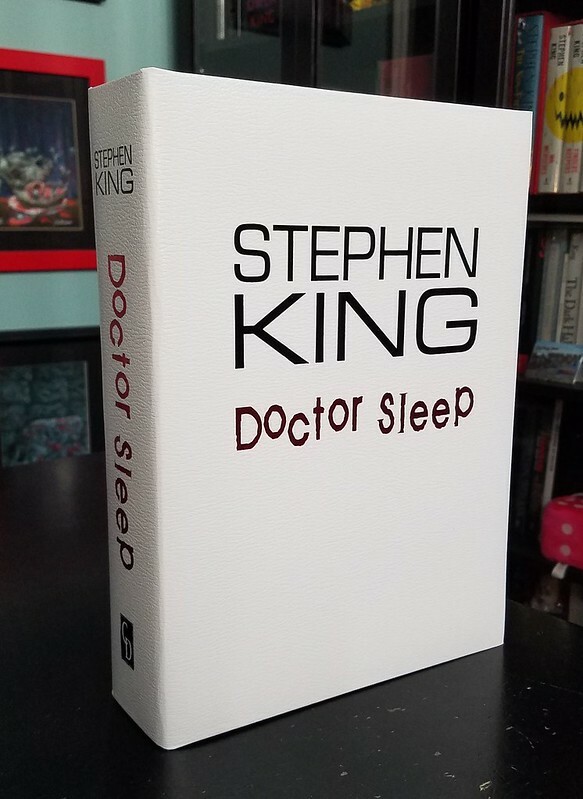 Such a unique premise and a well written book. 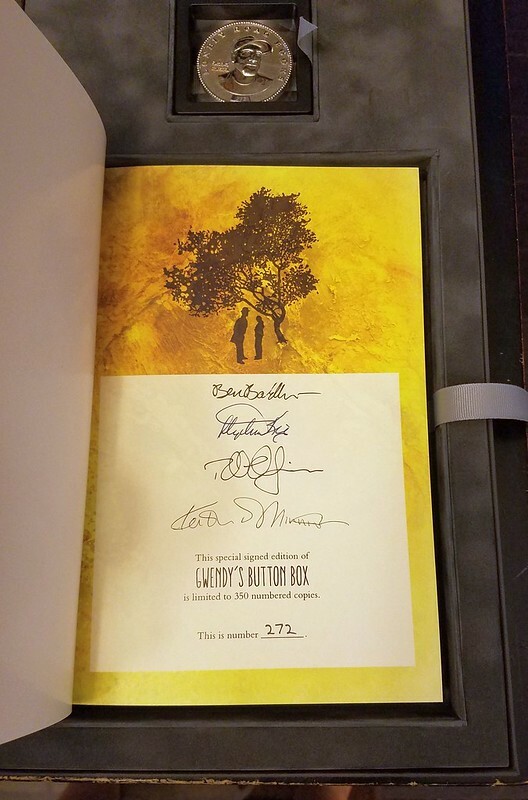 Congrats on the signed, limited. I agree - it was one of those books I let sit for awhile, and then was kicking myself for doing it! Some big stuff came in last week! 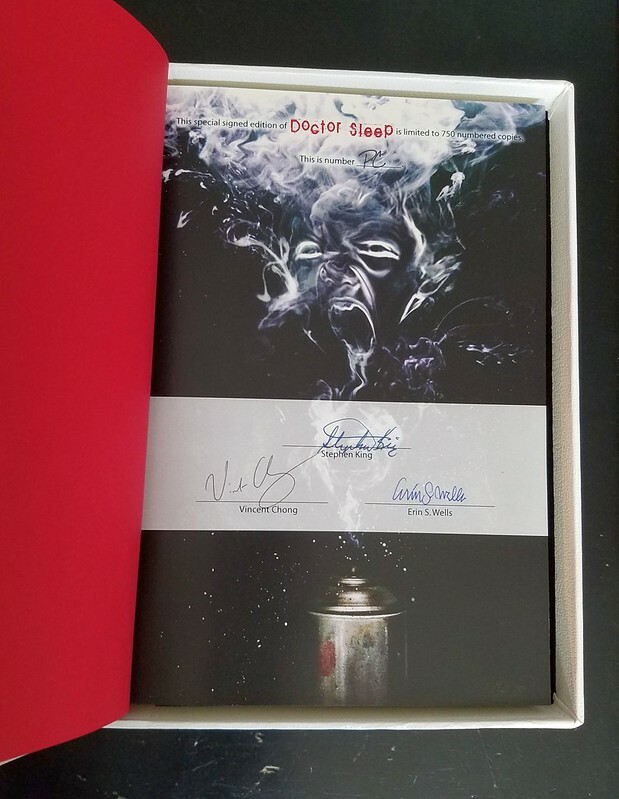 I also picked up the S/L of Doctor Sleep. 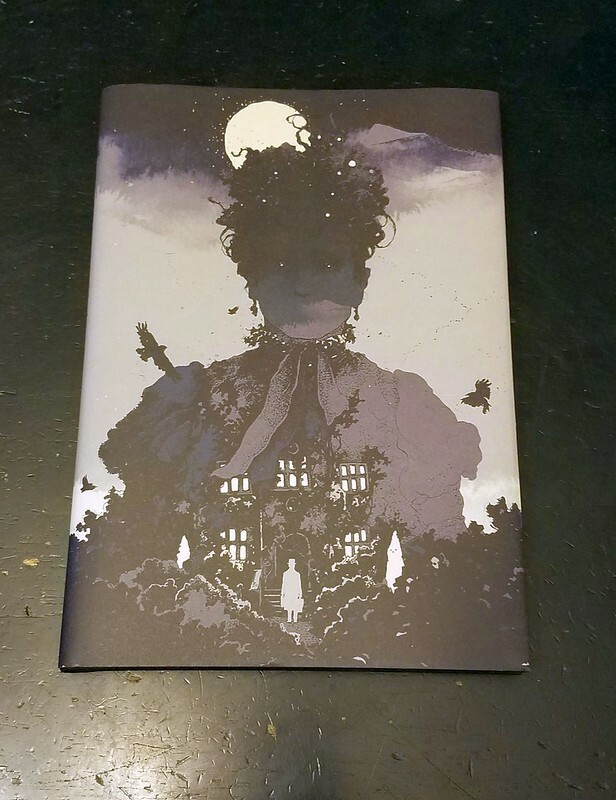 The S/L of The Woman in Black arrived from Centipede Press. 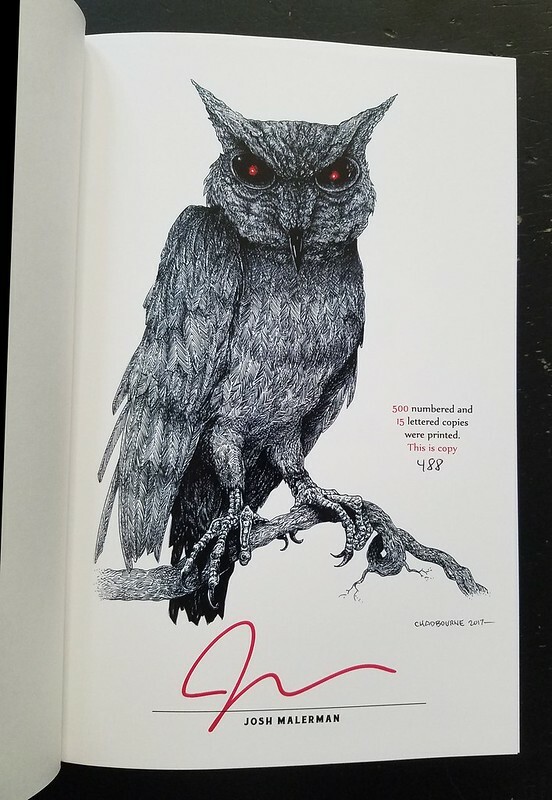 Really like the art on this, but I find it so odd that the signature page is in the back. I always seem to forget this, then panic that it's missing! And one more little thing. 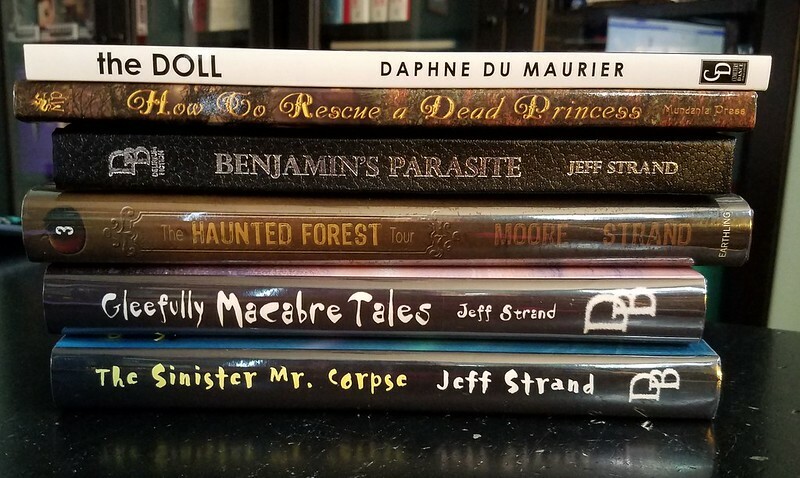 I participated in a book swap in my horror book group on FB. 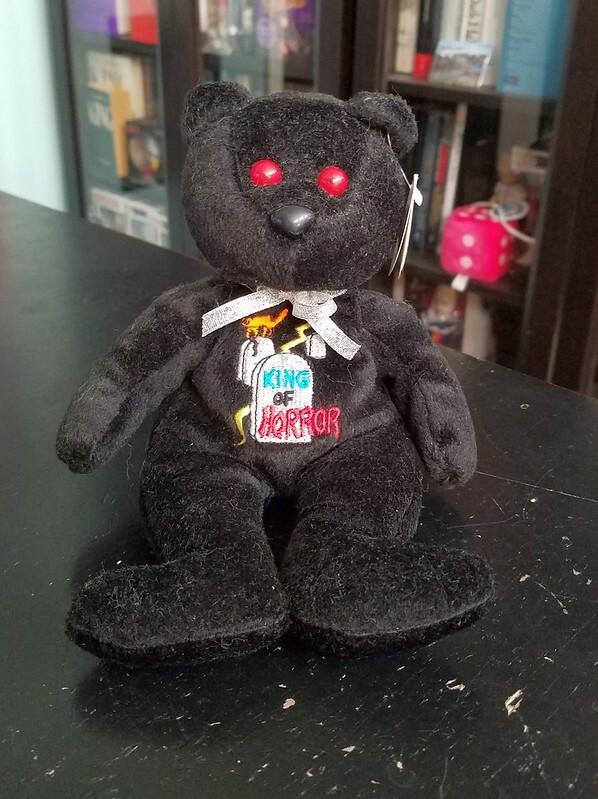 One of the things she bought me was incredibly thoughtful, and something I don't have - The Stephen King Beanie Baby Bear.